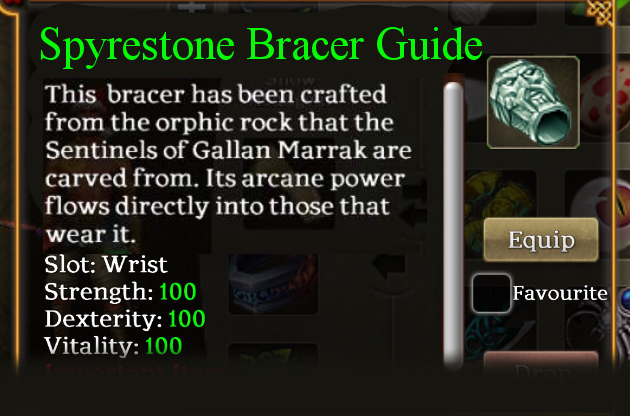 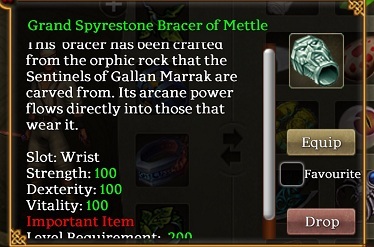 Spyrestone Bracers are similar to the Riftskull Bracelets that drop in Carrowmore tunnels, except they add to three stats instead of 2. 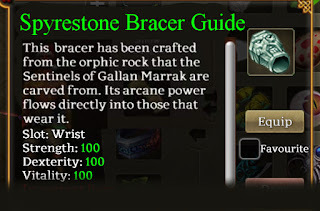 They sometimes drop from 4/5/6* Exalted Dragonlord Bosses in addition to their existing drops. 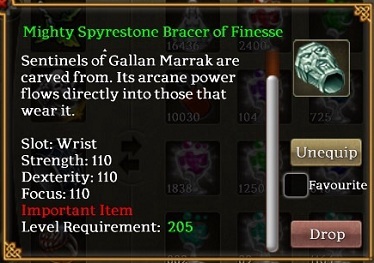 They are rumored to drop from any 4* mob in Gelebron's Tower.